Festival season is upon us, babes! Getting your mane to look cute AND hold up against the weather and extreme dancing conditions can be a bit of challenge—we totally get it. But don’t worry, we’ve put together some looks that will help you rock this festival season (and some tricks to keep those tresses intact ALL DAY LONG). Keep reading! 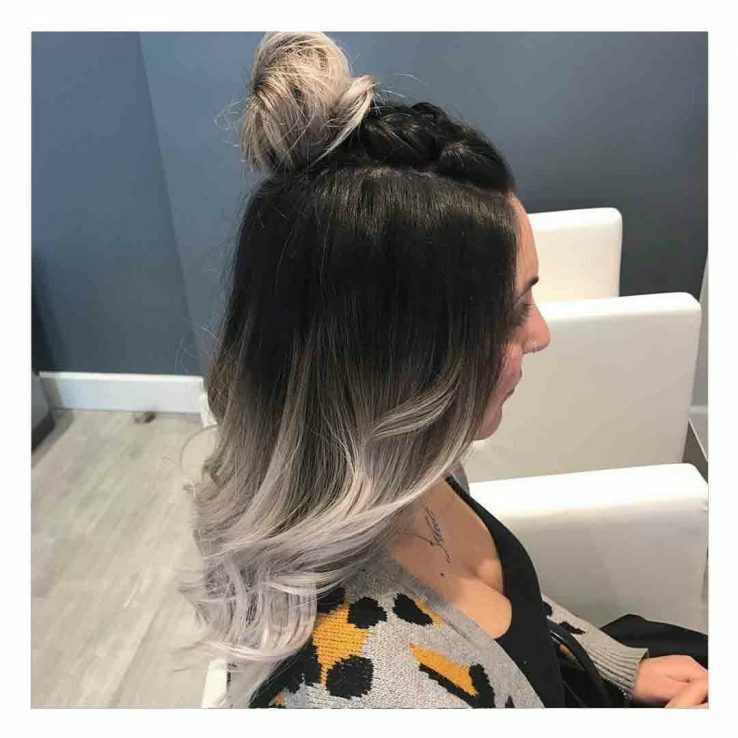 Our Corporate Educator and Chief Style Boss at Blo Glen Cove Road, Stephanie, put together 7 festi-gal styles that will definitely be trending this year. 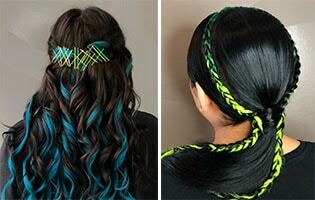 Take a look at some of these looks below and keep reading for more festival hair trends. 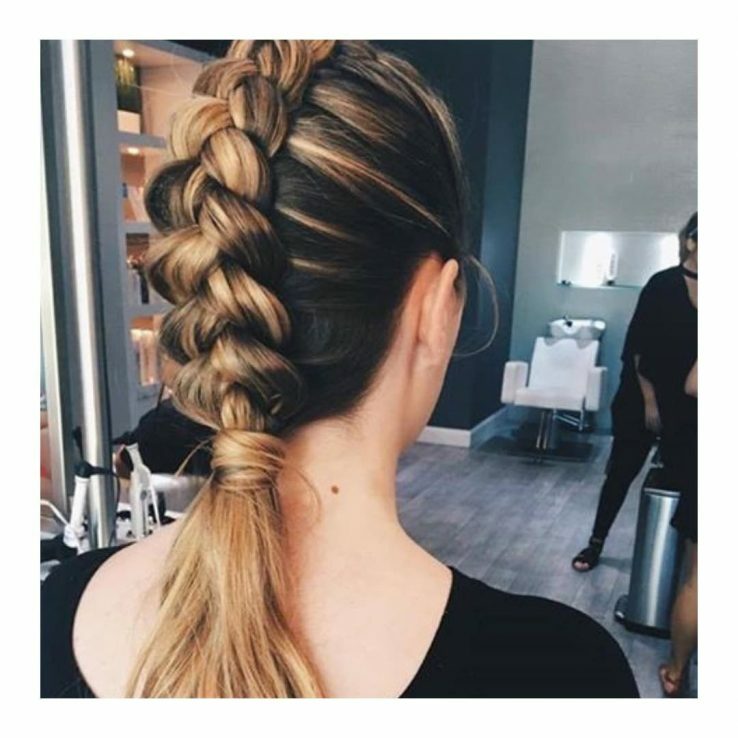 For an easy style that you can rock for multiple days, think about going with a boxer-braid or a dutch-braid hairstyle! It will keep hair in check, with no stress about fly-aways. Add in some colored ribbons, or sparkles for some extra festi-flare! Glitter will forever be a festival staple, and there is no wrong way to do it! You can literally put it everywhere. In need of a glitter touch up? Simply mix your glitter with your favorite hair gel and gently pat onto the roots of your hair using a thick makeup brush! Blo Tip: Done with the glitter in your hair? 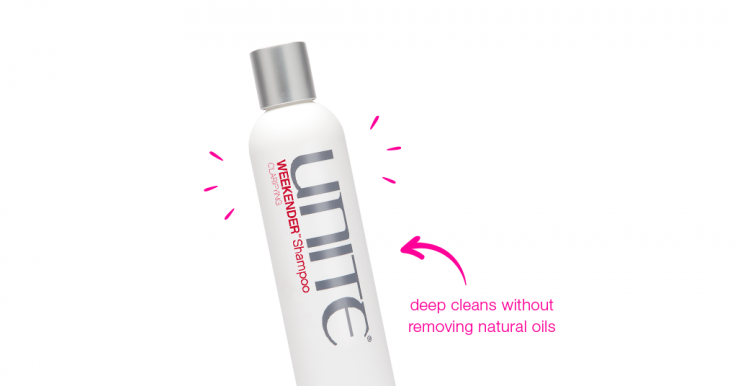 Try washing you hair out with the UNITE Weekender clarifying shampoo. The non-stripping formula is gentle and it deep cleans without removing natural oils. We cannot say enough about this trend – it’s one of our favorites! We’re talking about NEON accessories! 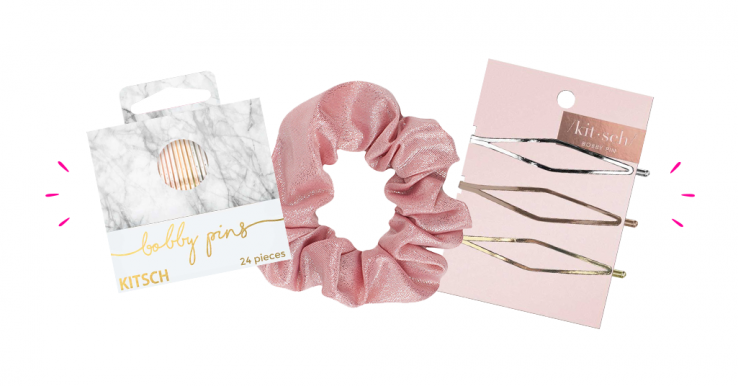 Glitter, bobby pins, ribbons – whatever makes you stand out! Blo Tip: Looking to refresh and prolong your style? Check out the 7Seconds Refresher Dry Shampoo. 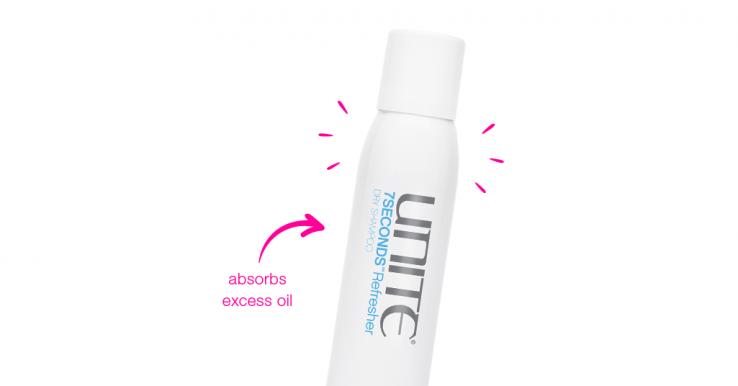 It absorbs excess oil without causing build-up, leaving hair fresh and clean. Who said BLING?! 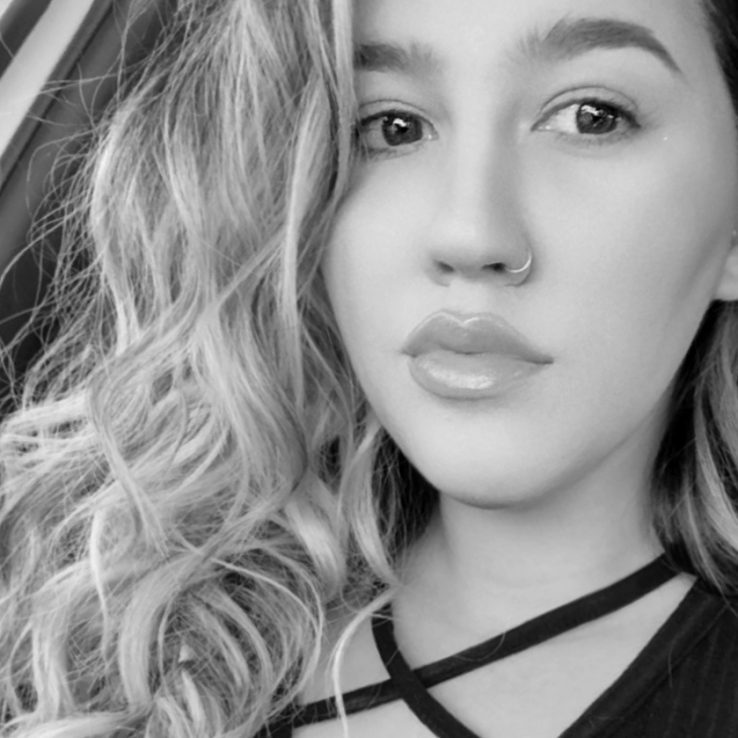 Hair piercings are super hot this year and can be added to a variety of different styles! We’re in LOVE! 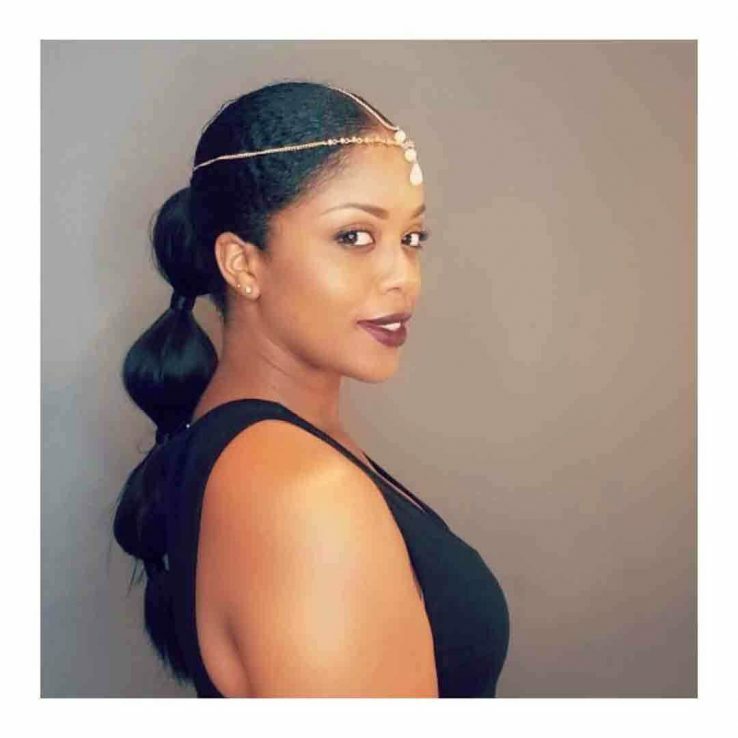 Check out these three different ways to add some bling to your ‘do! Blo Tip: Want some glitter, hair jewels or extra clips in your hair? Bring them along with you and let your stylist know before you get started! Plus check out these super awesome accessories from Kitsch. Available at select Blo locations. We’ve put together 6 other looks that we’re currently crushing on right now! Want any of these looks? Just book an Up Do a La Carte and bring in a picture of your favorite hair crush. We’ll work our hair magic for you. 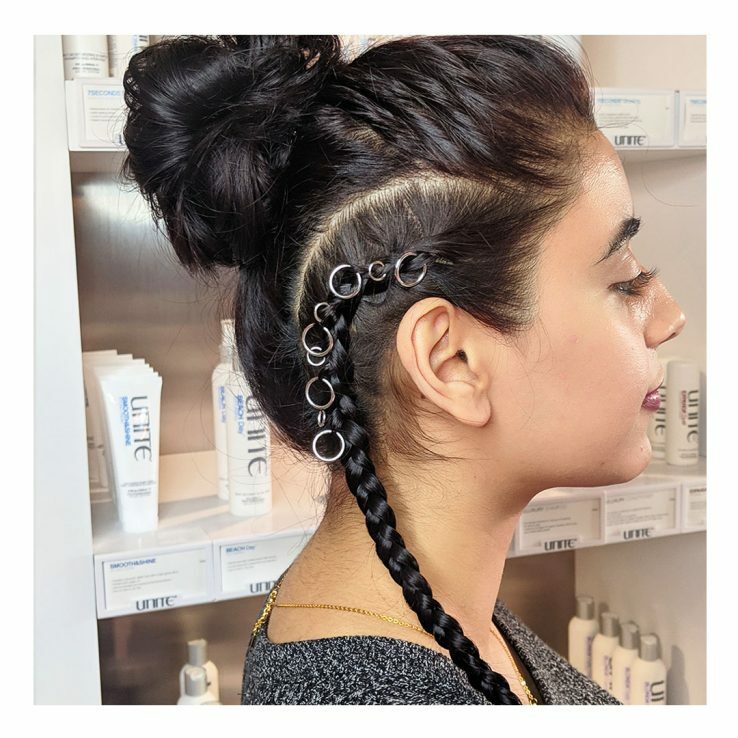 Mohawk-braided babe for an edgy look! 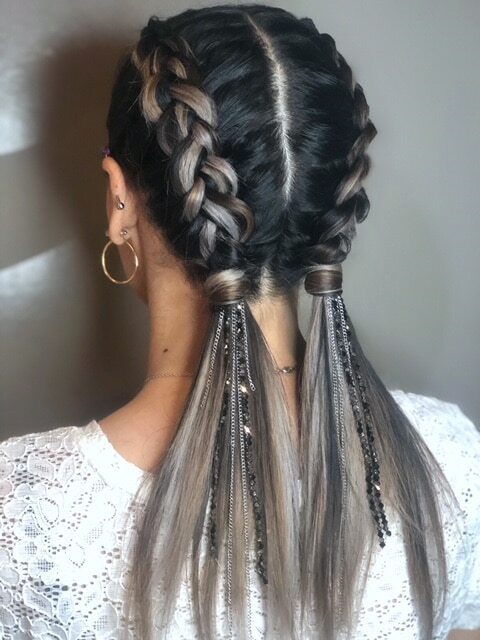 The perfect bubble pony with some added glam from Blo West Hartford! 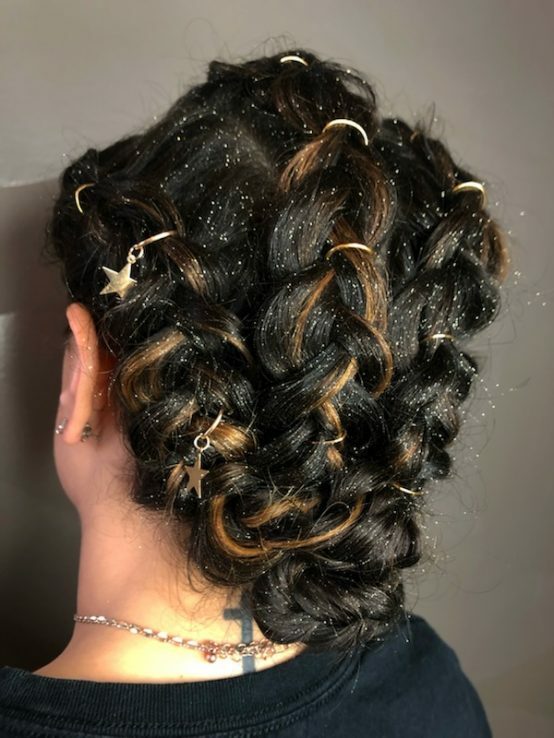 Currently crushing on these hair piercings from Blo Southport. 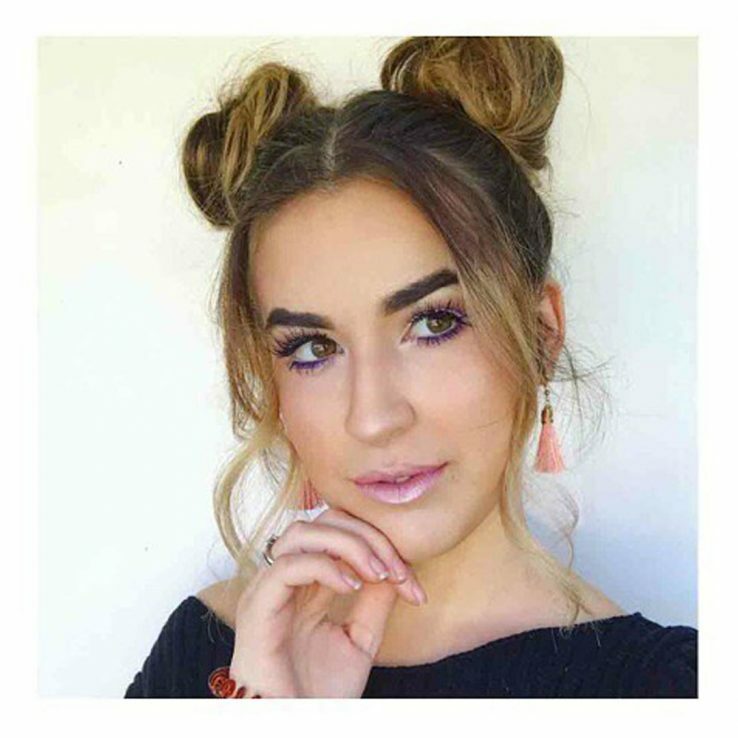 Double bun = double fun from Blo Las Colinas. 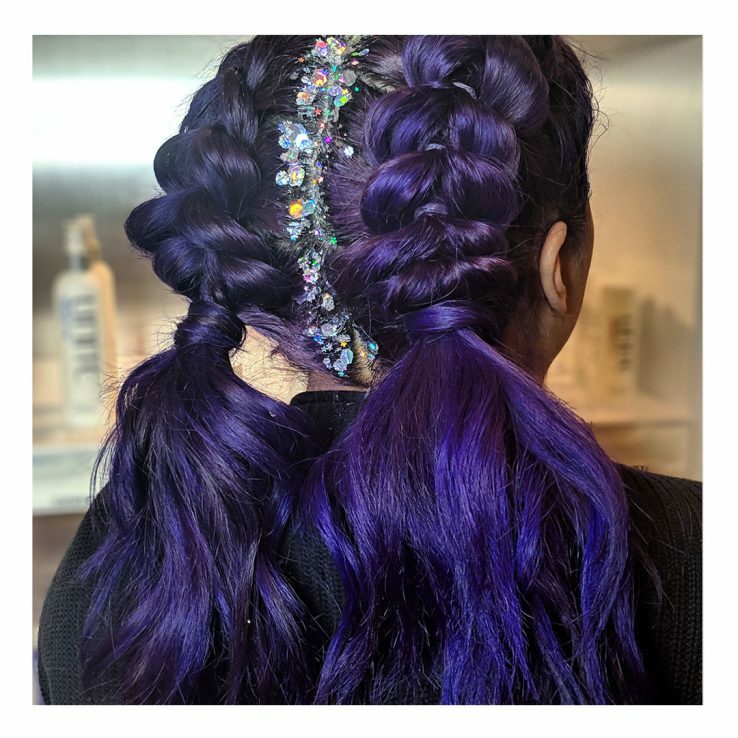 Double braids with extra glitter, please! From Blo Southport. Alright, babes! You’ve seen some awesome festival looks, now it’s time to book! Hurry, before our spots fill up!